Speakers - Ward and Smith, P.A. 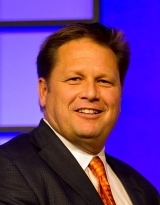 As the president and chief executive officer of FMI Corporation, Chris oversees the management of all FMI businesses and services and leads the firm’s strategic growth efforts. 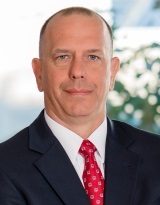 Previously, Chris served as president and senior managing director of FMI Capital Advisors, the firm’s investment banking subsidiary, where he also led the firm’s utility infrastructure practice. He works with owners, boards and management teams on strategic issues involving industry trends, management, ownership transfer, and mergers and acquisitions. He is a contributing author to numerous industry publications and media outlets and is an energetic and entertaining speaker on the current and future impact of economic, technology and competitive trends on the industry. 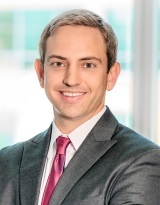 Prior to joining FMI, Chris served as global financial services leader for an industrial company with operations throughout North and South America and Europe, and he began his career in public accounting with KPMG. Amelia’s legal background allows her to provide clients with complex needs with specialty lines of coverage. In her legal practice prior to joining Sentinel, Amelia handled client litigation and navigated complex class action lawsuits. Amelia leverages her background of negotiating complicated matters by working with her risk management clients throughout the entire policy selection and placement process – from information gathering to marketing and negotiation, and finally the proposal – to provide clients with the best protection for their needs. As a client executive and partner, Amelia oversees a broad range of client accounts, including all of Sentinel’s professional, executive and cyber liability insurance clients. She has a proven background in providing clients with risk management solutions they were once told were impossible to achieve. Heather recently transitioned to Wells Global from McDonald York Building Company, where, over a 22-year career, she worked to focus the company on client experience with a niche in corporate and life sciences. After building the company and a solid executive team, she asked herself, "What's next?" and has now begun a new career at Wells Global. Wells Global is a design/ build electrical contractor focused on critical power supply, and Heather is excited to learn a new industry and grow another company. One of Heather's key focuses has been serving the community and helping others. She is actively involved in many local and state professional and nonprofit organizations and has served in leadership roles in the majority of these groups. Heather chooses organizations that are both professionally and personally meaningful to her along with organizations that allow her to make a significant impact within the community. Currently, her activity includes board positions for the Triangle Area Chapter of the American Red Cross, Triangle Family Services, and the John Rex Endowment. 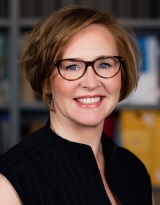 She serves on the NC State Civil Construction and Environmental Engineering (CCEE) departments advisory board, Union Bank advisory board, NC CEO Summit Executive Board and Board of Governors for the City Club of Raleigh. 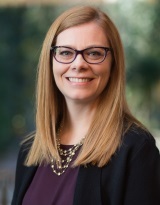 Heather has also served as President for several professional organizations such as Triangle Commercial Real Estate Women (TCREW), the International Society for Pharmaceutical Engineering (ISPE) and the International Facility Management Association (IFMA). Heather has received numerous awards including Top 50 Business Leaders to Watch by the Triangle Business Journal, Engineering News Record 20 Under 40, Triangle Business Journal's 40 Under 40, CREW Network 20 Under 40, Triangle Business Journal's Women in Business and Business Leader Magazine's Women Extraordinaire. Heather graduated from North Carolina State University with a B.S. in Civil Engineering - Construction Option. Sam began his career in the U.S. Navy Civil Engineering Corps and Seabees, where he managed construction, maintenance, and contract administration in Vietnam and Norfolk, Virginia. He joined T.A. Loving Company in 1971 and is presently Chairman and CEO. Prior to his position, Sam wore many hats in the company advancing to President from management roles in bridge, building, municipal, pipe, and plant construction. Sam is active in construction industry trade groups and his community. 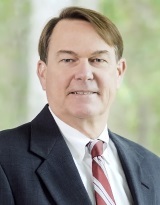 Some of his leadership roles include President of the Associated General Contractors of America (2005), President of Carolinas AGC (1987), and Chairman of the East Carolina University Construction Management Advisory Committee (13 years). Sam is a fellow of the American Society of Civil Engineers and a member of the Society of American Military Engineers and the National Society of Professional Engineers. 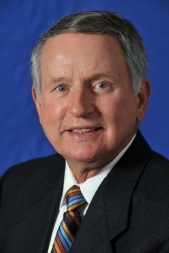 He also has served on the Wayne Memorial Hospital Board of Directors, the Wayne Community College Board of Trustees, and the North Carolina State Community College Foundation Board. Sam graduated from Virginia Tech with a B.S. & M.S. in Civil Engineering. He is a professional engineer, a certified professional constructor, and a professional land surveyor. As President of Baker Roofing Company, Mark is responsible mainly for the overall direction and growth strategy of the company. 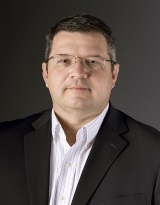 Specifically, he focuses on the strategic direction, operational performance, employee development, and the financial health of the roofing business. Mark joined Baker Roofing Company in 1998. During his tenure, he has held many positions including Assistant Project Manager, Department Head, and Vice President of Operations. Before joining the company, Mark worked for UPS, Jefferson Pilot, Allergen Pharmaceuticals, and Provident Life. He holds a degree in Business Administration, with a concentration in Finance, from the University of South Carolina. Mark is originally from Charlotte, N.C. When not working, Mark can be found playing golf, tennis or watching his boys, Colton and Landon, play basketball. He is extremely active in the community and proudly serves on the Board of Directors of the Boys and Girls Club. Ryal is an experienced litigator. 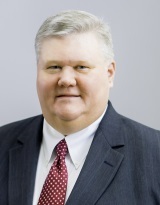 He has handled a wide range of litigation cases in state and federal courts, many of them jury trials. Ryal has extensive construction law experience, including lien law, federal and state bond claims, and defective workmanship cases. 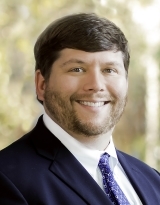 He also has significant experience with agribusiness litigation, property owner association disputes, personal injury, and all types of real estate disputes, including title insurance claims, trespass, adverse possession, condemnation, easement rights, and wrongful timber cutting. Devon's experience focuses on a wide range of labor and employment issues, including wage and hour matters, federal contractor compliance, employment discrimination and harassment, employee discipline and termination, personnel policies, and background checks. In matters relating to employee benefits, she concentrates on issues confronting welfare benefit plans (such as medical, dental, and other plans) and their sponsors, including the provisions and impact of the Affordable Care Act. Jason represents and assists contractors, subcontractors, owners, lenders, and design professionals in all areas of the construction and development process. His goal is to help clients through the building process in the most efficient and cost-effective manner. His practice experience includes civil litigation, preparation and negotiation of construction contracts, and development of best practices for construction companies. Wes helps businesses and professionals respond to government investigations or criminal prosecutions. A former federal prosecutor, Wes uses his insight to frame his client’s situation, while attempting to mitigate the damage these investigations frequently bring. The earlier he is involved, the more likely he can alter the direction of the case. Wes also draws on his experience when conducting internal investigations of potential wrongdoing and advising private clients on appropriate responsive actions. Bill's practice experience encompasses civil litigation in both the state and federal courts. He has represented clients in a broad variety of complex construction, business, and commercial disputes. His civil litigation experience includes depositions, pre-trial and dispositive motions, mediations, arbitrations, jury trials, and appeals. Other areas of his litigation practice include insurance coverage disputes, personal injury, agribusiness litigation, and representation of professional athletes and other high net worth individuals in a variety of family law matters. Will leads the firm's Workplace Safety and Health practice. 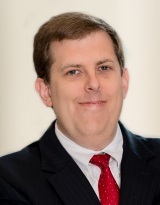 His practice experience encompasses various areas of employment and workplace-related counseling and civil litigation in both the federal and state courts at the trial and appellate levels. Will also regularly represents employers and employees before the United States Department of Labor (USDOL), the Equal Employment Opportunity Commission (EEOC), the Occupational Safety and Health Administration (OSHA), the Mine Safety and Health Administration (MSHA), the North Carolina Department of Labor (NCDOL), the North Carolina Industrial Commission (NCIC), the North Carolina Department of Commerce, Division of Employment Security (DES), and federal and state wage and hour divisions. Jeremy leads the Personal Injury and Wrongful Death practice. 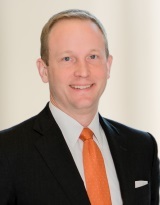 He has extensive experience litigating claims for wrongful death, serious personal injury, and a broad range of civil litigation before state and federal courts, including cases involving vehicle accidents, professional malpractice, premises liability, products liability, and class actions, among other areas. Angela leads the firm's Intellectual Property (IP) practice and is both a North Carolina State Bar Board Certified Specialist in Trademark Law and a Certified Information Privacy Professional – United States (CIPP/US). 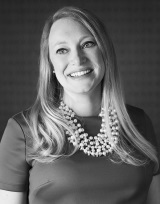 In her Privacy and Data Security practice, Angela advises clients on all aspects of privacy and security regulations including evaluating and implementing compliance programs, responding to data breaches and security incidents, drafting privacy notices and policies, and negotiating consumer and vendor contracts. Caroline is certified by the International Association of Privacy Professionals (IAPP) as a Certified Information Privacy Professional – United States (CIPP/US) and her practice encompasses a broad range of business law and privacy and data security matters. As a member of the Privacy and Data Security Group, she regularly counsels clients across multiple industries, including the retail, technology, education, health care, and financial sectors, on a number of privacy and data security issues. 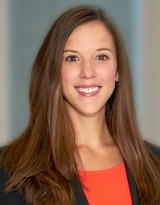 Caroline assists clients on compliance matters involving HIPAA, GLBA, FCRA, TCPA, CAN-SPAM, COPPA, FERPA, and other federal and state laws, and she regularly counsels clients in preventing, mitigating, and responding to data breaches and security incidents.